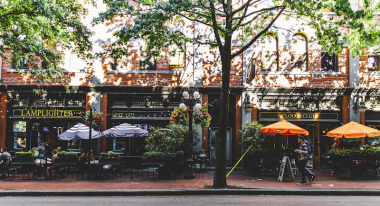 Gastown District - Gastown Business Improvement Society , Vancouver, British Columbia. Information, Photos and Reviews. 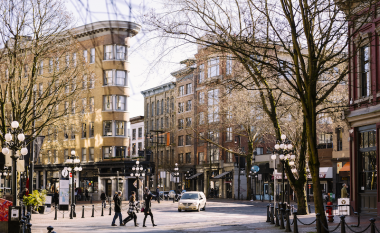 Gastown is the heart of Vancouver. Named after “Gassy” Jack Deighton, a Yorkshire seaman, steamboat captain and barkeep who arrived in 1867 to open the area’s first saloon. 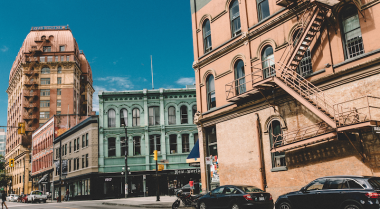 Designated a National Historic Site in 2009, the storied neighborhood offers a saw tooth skyline that dates back to the 1800s, showcasing some of the city’s best Victorian Italianate, Edwardian Commercial and Romanesque architecture. 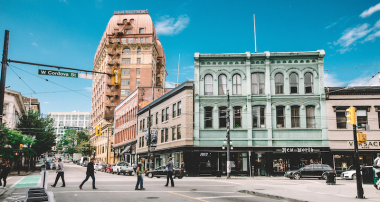 Gastown is central to Vancouver’s position as one of the most cosmopolitan cities in the world, providing a rich, textured backdrop for the neighbourhoods vanguard group of entrepreneurs. 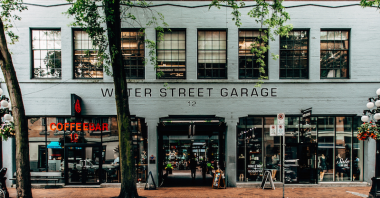 Gastown offers a thriving fashion district, impeccably curated décor boutiques, one-of-a-kind galleries and some of the best culinary fare in the city. 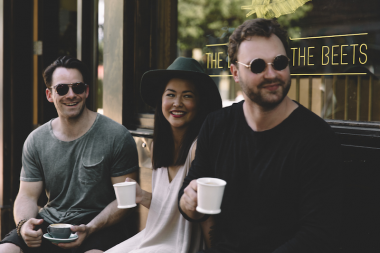 Step up from street level and you’ll also find a collection of the city’s most creative enterprises, from graphic designers and architects to film students and photographers. 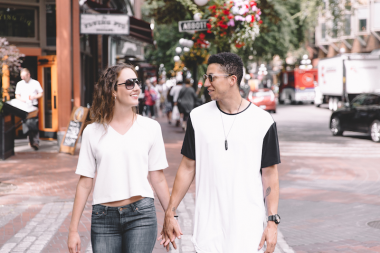 It’s no surprise that in 2012, Gastown was named the fourth most stylish neighbourhood in the world, setting trends from the historic seat of the city. 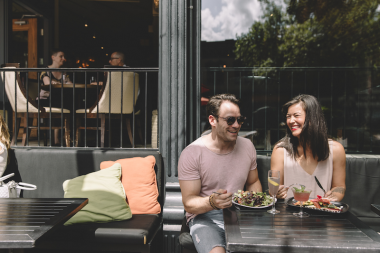 Nobody has reviewed Gastown District - Gastown Business Improvement Society yet, Be the first. You are submitting a booking enquiry. Gastown District - Gastown Business Improvement Society will then contact you by email with details of availability and prices.